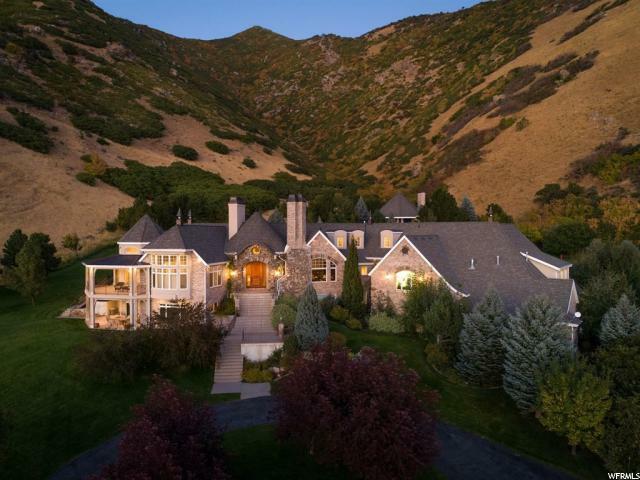 All Uintah homes currently listed for sale in Uintah as of 04/25/2019 are shown below. You can change the search criteria at any time by pressing the 'Change Search' button below. 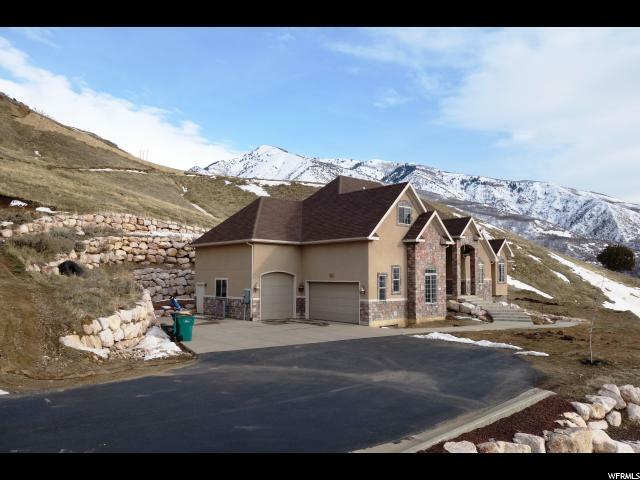 "This immaculately designed and well maintained two-story home is a rare find in Uintah and offers serenity and comfort. Beautiful hardwood floors and rustic reclaimed barn wood accents add a touch of style. The main floor is both fashionable and functional with an open concept design and flawless workmanship in all the details. Exposed wood beams express a rustic appeal and the tile backsplash and quartz countertop ties in a modern feel to the space. With a large kitchen and dining room on one side and open living room on the other, this space is perfect for gathering friends and family. A rich, reclaimed wood handrail escorts you up the stairs to reveal a meticulously remodeled master bedroom, along with four other bedrooms each exuding their own charm and character. The bathrooms are near showpieces with intricately set tile and beautiful d cor. No painstaking detail was overlooked in the craftsmanship of this home. To the west of the home sits a double deep two car garage with 12-foot tall door and space galore for all the projects. The home and garage is surrounded by plenty of land for horses and other animals including an electric dog fence. The shoreline trails are accessible from the trail system on the North hill of Uintah. A bike route then leads you to the Beus Trailhead, which puts you on the shoreline. The Weber River Pathway is just a five-minute bike ride West from the house along 6600. The pathway will takes you all the way to Rainbow Gardens." 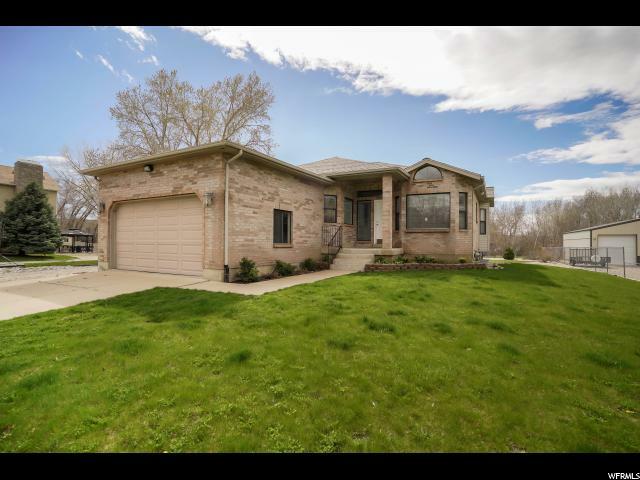 "Tucked away behind a curtain of evergreens, this split level home in Uintah offers plenty of serenity. The front yard is a lush garden with fruit trees, blackberries, grapes and other varieties of decorative plants, creating a peaceful respite. The home was remodeled in 2017 with new waterproof Coretex flooring throughout, new paint, new trim, and freshly painted interior doors. The kitchen and dining room are on the top floor with walkout deck and provide new appliances with counter depth refrigerator and gas range. There are two bedrooms on the upper level and a third downstairs. The bathrooms have been completely remodeled with beautiful tile and fixtures. The lower level has space to use as a family room, game room or office. The cooling system is a side mounted swamp cooler but the system could easily be upgraded to central air conditioning. Outside there are two storage sheds included in the purchase, along with a cozy workshop. There is an automated sprinkler system with rented shares of flood irrigation from the Uintah Central Canal Company.The shoreline trails are accessible from the trail system on the North hill of Uintah. A bike route then leads you to the Beus Trailhead, which puts you on the shoreline. The Weber River Pathway is just a five-minute bike ride West from the house along 6600. The pathway will take you all the way to Rainbow Gardens."